This article will guide you through the initial configuration of CubeBackup on Windows. 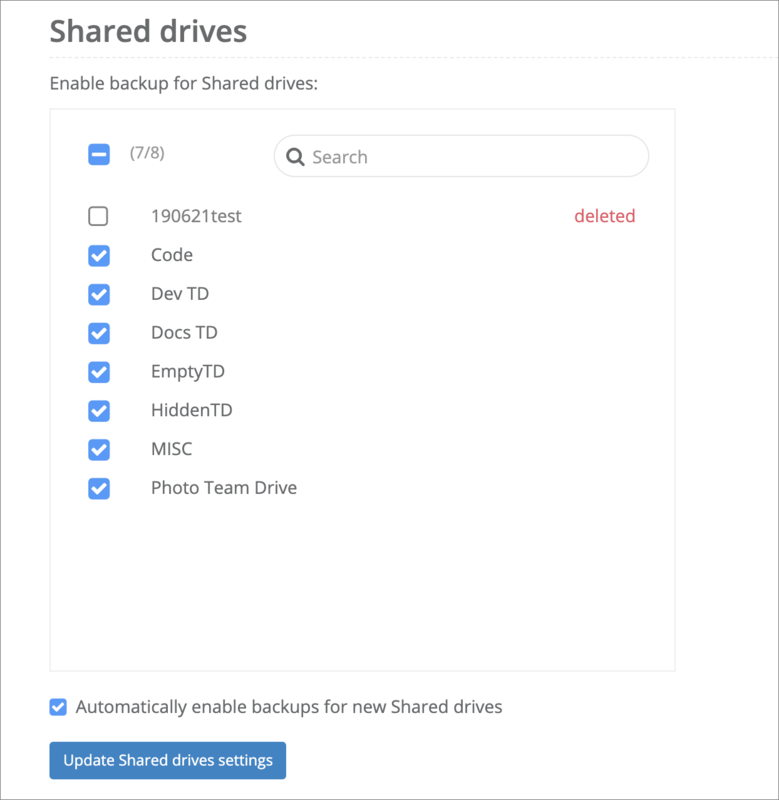 If you are using CubeBackup on Linux or Docker container, please refer to Initial Configuration on Linux or Initial Configuration using Docker. After CubeBackup has been installed, its web console will be automatically poped up in your default web browser. You can also open the web console by either clicking the CubeBackup icon on the desktop, or visiting http://<server-ip>:<port> on any web browser in your network. 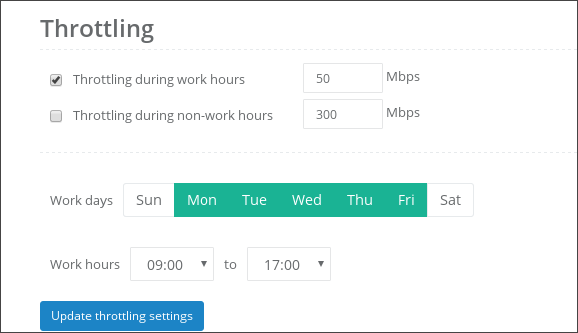 If permitted by your company’s firewall policy, it can also be accessed from outside your network at http://<server_external_ip>:<port>. The default web console address is http://<server_ip>, assuming no other web services are running before CubeBackup. If port 80 is already in use, the installation wizard will ask you for a different port. 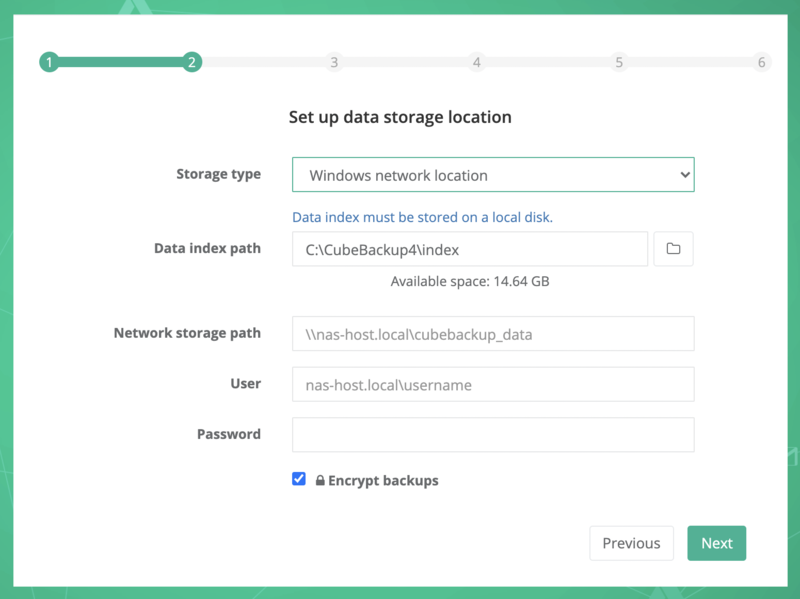 Network storage path: If CubeBackup is installed on a Windows operating system using network storage, the network storage path and access credentials are required in this step. 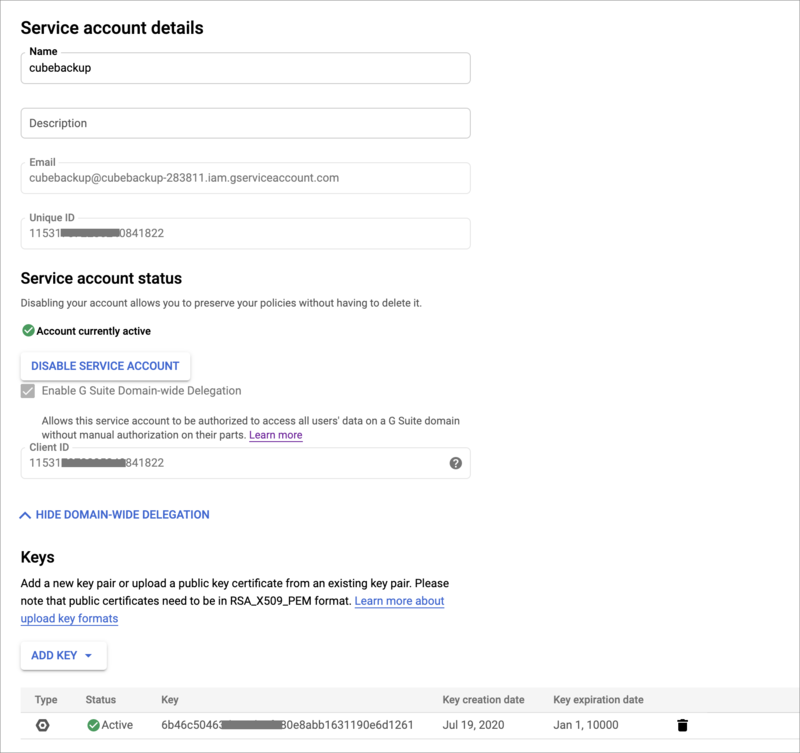 Manually enter the UNC path for the remote storage, e.g., \\NAS-HOSTNAME\gsuite_backup, or \\192.168.1.123\gsuite_backup. Generally, the hostname is preferred over IP addresses, especially in an Active Directory domain environment. NOTE: Network resource drive letter mapping is not currently supported. Please use UNC paths (\\NAS-HOSTNAME\backup\gsuite) instead of mapped paths (Z:\gsuite). User and password: The user name and password to access the network storage are required. For Windows networks using Active Directory, the preferred user name format is <DomainName>\<UserName>. For example: cubebackup\smith ( smith@cubebackup.com is not supported). For Windows networks organized by workgroup, or if the network storage is located outside of your active directory, the format should be <NASHostName>\<UserName>. For example: backup_nas\smith. Why are a username and password required? 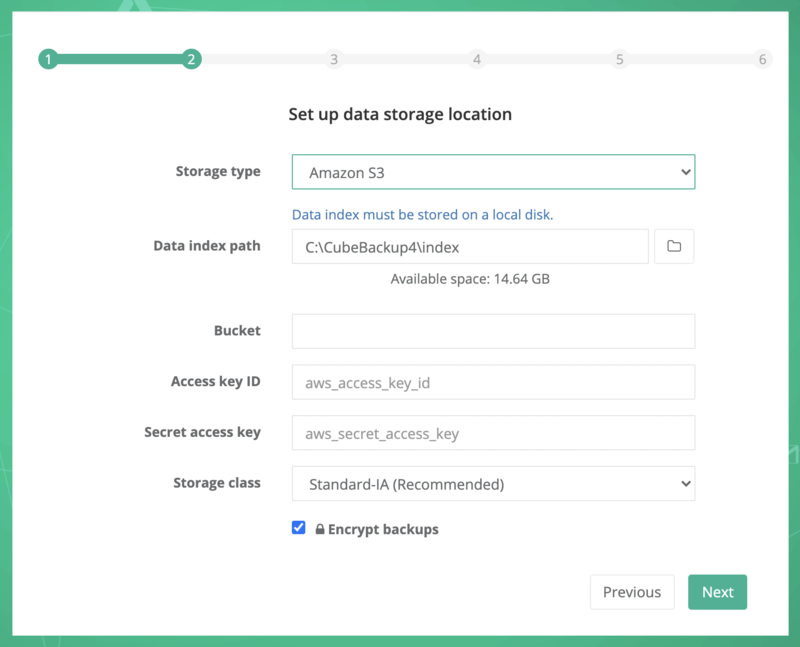 CubeBackup runs as a service using the system default local service account, which does not have rights to access network resources. This is by design in Windows. 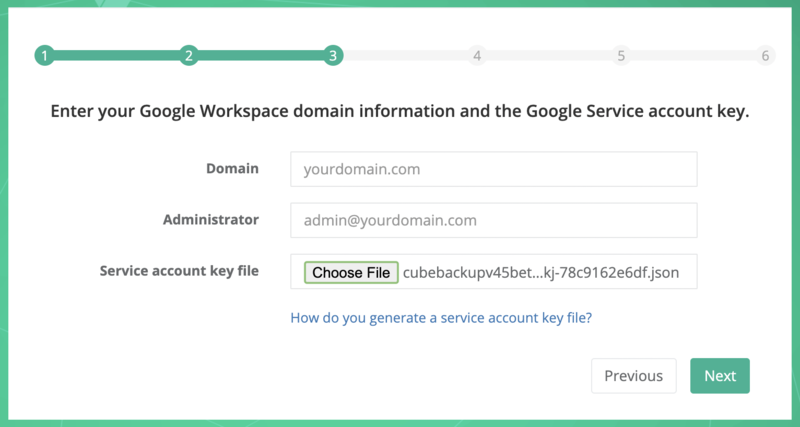 In order for CubeBackup to access network storage, a username and password must supplied. Enter a name for the new user, e.g., CubeBackupS3. Back on the “Set permissions” page, make sure the newly created group is checked, then click Next:Tags. 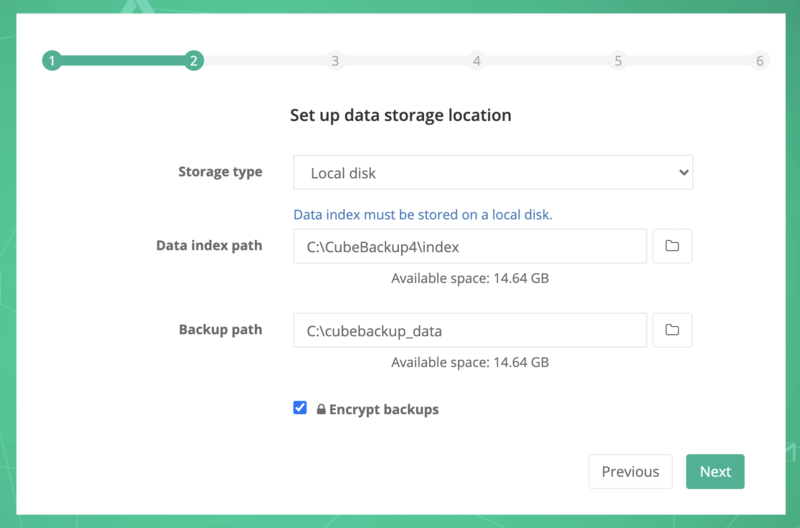 Encrypt backups If you want your backups to be stored encrypted, make sure the “Encrypt backups” option is checked. 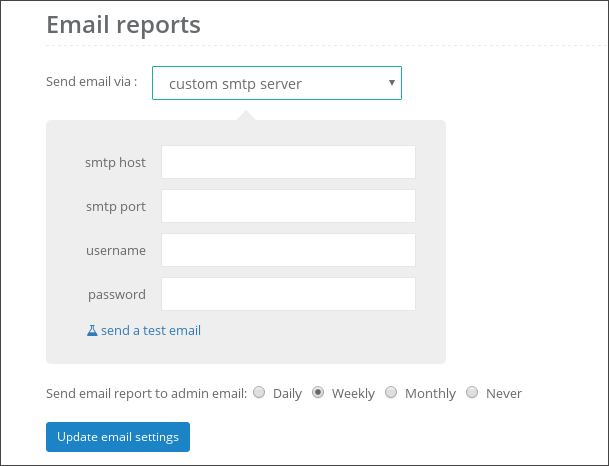 This page can be opened by either clicking this link or selecting IAM & admin -> Manage resources in the main menu. NOTE: The main menu slides out from the left of the screen when you click the icon in the upper left corner of the page. NOTE: You can leave the Location and Organisation fields unchanged. They have no effect on this project. 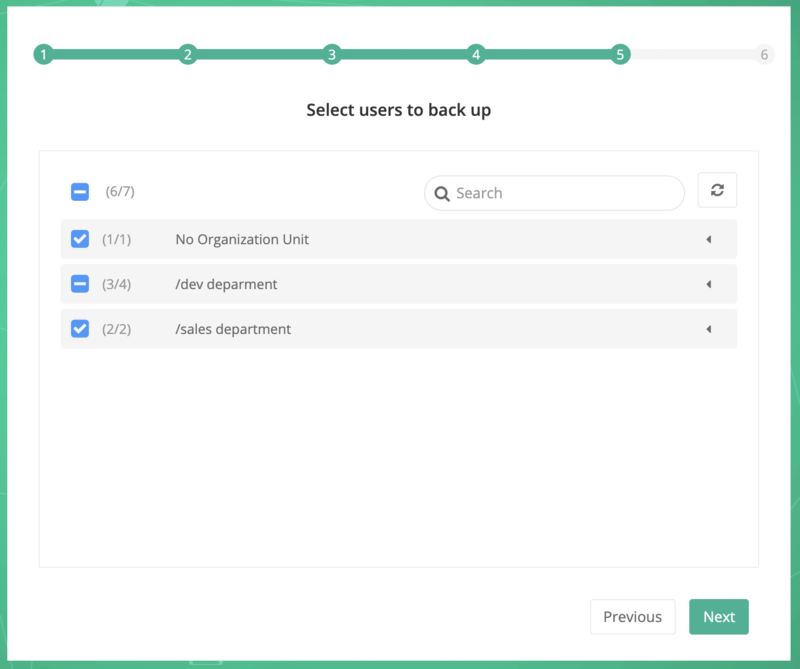 3.5 Return to the CubeBackup setup page.